I love it when there's a common thread to the songs that debuted on the ARIA chart from years gone by - and this week that theme is: less successful follow-ups. Of the five songs we'll look back on, four were not as big as the singles immediately preceding them, while the fifth is a song that was much more successful than any subsequent releases by the act in question. At number 1 this week in 1988 was another song that was more successful than anything else released by Bobby McFerrin. Yep, the awful "Don't Worry Be Happy" refused to move from the top, spending its fourth week as the nation's most popular single. In a few short years, the heavy metal band would be used to landing at the other end of the top 100, but this lead single from ...And Justice For All was a tentative start to their ARIA singles chart career. He'd made it to the Breakers section earlier in the year with "Have A Little Faith In Me", but this more upbeat title track from his ninth album failed to connect for John Hiatt. Re-released following its memorable use in Beetlejuice, the 1956 classic originally subtitled "The Banana Boat Song" had reached number 6 in Australia in early 1957. First recorded by his former band, Australian Crawl, on their 1985 album, Between A Rock And A Hard Place, "Always The Way" was the final single lifted from James Reyne's self-titled debut album. 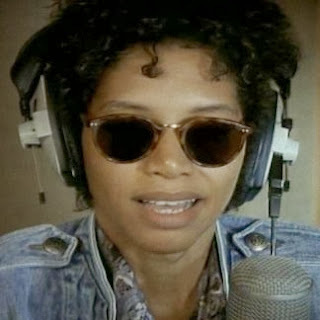 One week after the arrival of Toni Childs' "Don't Walk Away" came a song of the exact same name by Pat Benatar, who'd just enjoyed one of the biggest singles of her lengthy career in the form of "All Fired Up", which had peaked at number 2. Pat's "Don't Walk Away" (which was a completely different song in all other respects to Toni's single) came nowhere near matching the chart peak of "All Fired Up", despite being, in my opinion, a much better track. 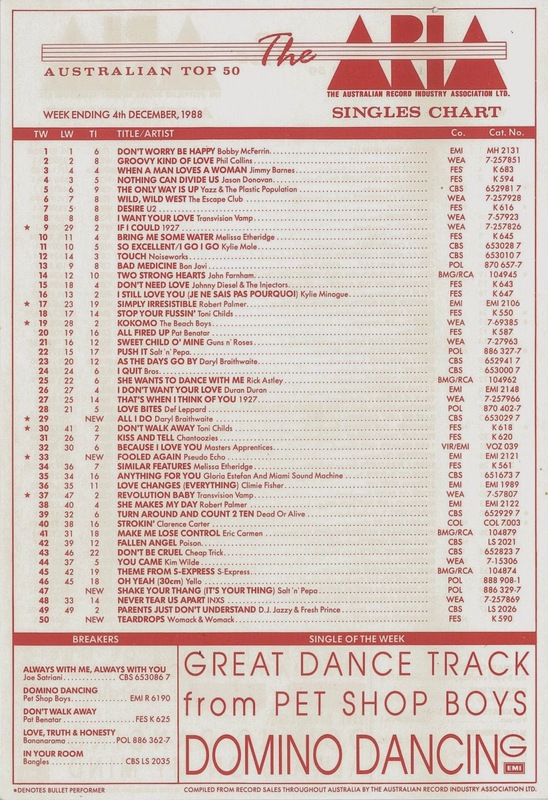 Slipping into the very bottom of the top 50 is a song that would go on to spend four frustrating weeks in the runners-up spot at the other end of the chart. As I've mentioned before, I wasn't so enamoured with "Teardrops" at the time, but it has grown on me over the years. I'm not sure what didn't gel with me at first, but I suspect it had something to do with the blonde backing singer in the terrible headband, who used to really bug me for some reason. I know, it's not really a valid reason for not liking a song, but what can I say? Last week, I talked about the fact that "Push It" had been one of a select number of rap releases to crack the Australian top 50 in 1988 and Salt 'n' Pepa made it two from two with this follow-up, which sampled "It's Your Thing" by The Isley Brothers. However, "Shake Your Thang...", which appeared on the rap trio's second album, A Salt With A Deadly Pepa, only spent a solitary week on the ARIA singles chart and it wouldn't be until 1991 that the girls landed themselves another sizable hit in Australia. It was a different story in the US, with "Expression" selling over a million copies in 1990, and in the UK, where a cover of The Isley Brothers (them again)/The Beatles' "Twist And Shout" made the top 5 in 1988. What a mistake this change of direction was. For years, Australian band Pseudo Echo had proved the point that you didn't have to be a traditional pub rock band to score hits in this country. Between 1982 and 1986, they achieved no less than four top 10 hits, culminating in their chart-topping remake of "Funky Town". Guitars had sometimes featured on their records, but for 1988's comeback album, Race, the synthpop band completely rocked out (they even had the leather jackets to prove it) - and killed their career in the process. This lead single from the album actually has a good chorus, but it didn't sound like the Pseudo Echo the country knew and (previously) loved, and stalled at this entry position. Seventies heartthrob Daryl Braithwaite had made a victorious return to the chart with "As The Days Go By", which reached number 11 earlier in 1988, but this second single from his comeback album, Edge, more than doubled that placing. It's actually a pretty dull single so I'm not sure why, when they had the far superior "One Summer" up their sleeve, the record company bothered to release it. Surely the first week of December would have been the perfect time for "One Summer" to appear. Luckily, the relative failure of "All I Do" didn't ruin that song's chances - as we'll see in a couple of months' time. Next week: 10 new entries on the top 50. Ten! Included among the debuts are a rock'n'roll supergroup, a remix of a 1970s classic and two of my favourite 1980s girl groups. "...marking Pat's final appearance on the Australian top 100." You can be forgiven for forgetting/not realising (I doubt many would know/remember the song here), but Pat actually had one more top 100 'hit' here - the #90 smash 'Somebody's Baby' in September 1993. 'Don't Walk Away' seems to have been one of those unusual songs following a massive hit by an established artist, but receiving virtually no attention/promotion. I heard it for the first time on the '1989 Be Happy' compilation a couple of weeks later; but before then, I hadn't seen or heard the song anywhere. In fact, I didn't see the video until searching for it on youtube a couple of years ago! Earlier this year, I learned that Cecil Womack, the guy* in the band (*though I hilariously thought the singer was a man with a high pitched voice for some time) passed away in South Africa in February. I found it odd that it wasn't more widely reported in the media (at least I didn't see it anywhere). Was that Pat song an ARIA top 100 hit? I'm only using the AMR until the ARIA figures for 51 to 100 kick in, but I may have missed it in my ARIA chart book. And miss it I did! Very remiss of me. Have edited the post - thanks for the watchful eye! Gavin, you made me laugh when you said that the lack of appeal to 'Teardrops' was the blonde singer in the video with the headband. That was the same with me! I couldn't stand her either, hence not liking the video and the song (I remember the girls in high school loved this song) Like you, it has grown on me over the years and I have learnt to appreciate the song and try to forget the video. I remember the song was on the charts for ages, which is why it ended up on two official compilations due to its longevity - '1989 Be Happy' and the follow up 'Hits Of '89 Volume 1'. Nathan, like you, I discovered Pat's 'Don't Walk Away' on the compilation. I remember the only promotion I saw of it prior was a singles review in 'Smash Hits'. From memory, I think it got positive feedback. Ha ha, I too now remember Pat's 'Don't Walk Away' being reviewed in Smash Hits. If I remember correctly, it was the actress who played 'Jo Loveday' (? I didn't watch it) on A Country Practice reviewing the singles. She said something about Pat having an incredibly powerful voice for a woman of 5 foot (or whatever it was) stature. 'Teardrops' was on 1989 Be Happy just before/around the same time the single debuted in the ARIA charts. When I bought the cassette, I didn't know the song by name (but was familiar with it being aired a lot on radio). 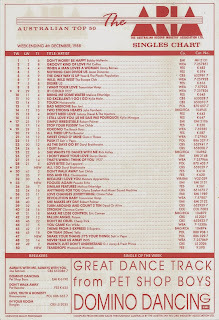 Perhaps they tucked it on 1989 Be Happy as a 'let's hope this one becomes a hit'/filler track (as not enough genuine hits were available to use by the record companies involved with the compilation at the time) - then it got recycled on 'Hits of '89 Volume 1' after it had actually become a hit. The same thing happened with Sam Brown's 'Stop!' appearing on both 1989 Be Happy (before it was a top 50 hit) and Hits of '89 Volume 2 (after it was a hit). It's funny how vivid memories are from that period. I struggle to remember what I did on the previous weekend these days. Teardrops I loved but now it's kinda old and stale. The Salt'N'Pepa thing is an utter waste of time! I played 'Edge' in it's complete original listing last week and 'All I Do' stood out very well considering. 'All I Do' is one of my favourite Daryl Braithwaite tracks, and I was surprised by its relatively short chart run. The video is memorable too for featuring footage of inside a Central Stations Records store (some years before I discovered them & imported CD singles). I remember thinking at the time that Salt N' Pepa would become one hit wonders in Australia... until that changed 3 years later (back then, 3 years seemed like a long time). Daryl Braithwaite and Central Station Records seems like quite an incongruous match! Definitely! I remember feeling like I wasn't cool enough to shop at Central Station when I discovered the store in '94.